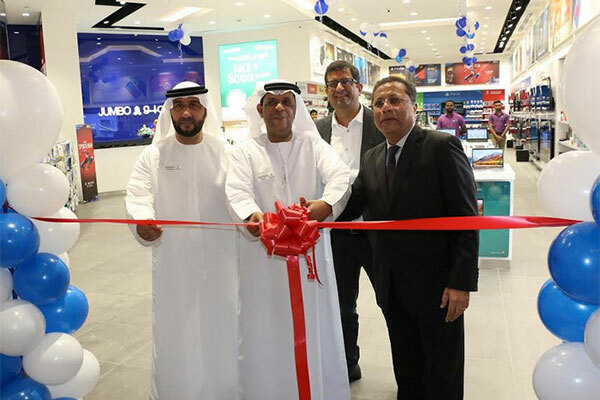 Jumbo Electronics, a leading electronics retailer in the region, has opened its second store in Ras Al Khaimah, UAE at Manar Mall. The store was unveiled in the presence of leading dignitaries in the Emirate, including Dr Abdulrahman Al Shayeb Al Naqbi, director general DED Ras Al Khaimah; Mohammed Al Mahmoud, acting deputy director general DED Ras Al Khaimah; representatives from Al Hamra Group; representatives from Al Manar Mall Management; and senior management from Jumbo Group. Al Naqbi said Ras Al Khaimah is witnessing significant expansion in several sectors including tourism and manufacturing, both of which have given the economy a significant boost. Ras Al Khaimah has a growing population of young tech savvy customers who are well-informed of the latest technologies and are keen on getting their hands on the latest products. Ras Al Khaimah is also an important contributor to the UAE’s ever-growing economy – and an important market for Jumbo Electronics. Arvind Agrawal, head of Jumbo Group, said: “RAK is a focus market for us due to its growing importance as a tourist hub as well as the fact that it has a large local population. Our second store in RAK is designed to provide a superior experience with focus on smart and complex technology products that include smart home devices, latest streaming unwired products as well as the traditional gaming, TVs, laptops and mobiles for which Jumbo is well known. The store was launched with an array of exciting launch offers on all products across categories. Benoy Kurien, group chief executive officer, AlHamra, said: “Our focus has always been to create the very best shopping and entertainment attraction in Ras Al Khaimah. We are now able to attract the world’s leading brands, further expediting our company vision of being the largest and most visited mall in the Northern Emirates.